If there are any species not listed that you require please let us know and we will see if we can supply them. We have a special offer running on plants until the end of 2019. If you spend over £40.00 on our plug plants from the list below we will send you 25 grams of our Cottage Garden seed mix free of charge. Worth £6.75. It will appear in the checkout when your purchase qualifies. PLEASE NOTE DUE TO A HIGH VOLUME OF ORDERS DISPATCH ON PLUGS IS AT LEAST 8 WORKING DAYS WE APOLOGIZE FOR THE DELAY. Best in May and June. Low growing , carpeting flower. Attractive to bees a rich source of nectar. Butterflies lay eggs on the plant. White Blooms Tinged with yellowish green. Can grow up to 6 feet tall. Parasitic plant that can weaken grass. We supply a wide range of British Native wildflowers wild flower plug plants. The wildflower seed is originally sourced from wild stock in the UK. It is then multiplied up commercially. The british plug plants are then grown each season. We list the main species of wildflowers plug plants we sell but often carry in stock a much wider range. If there is species you are looking for which is not listed then please contact us direct. 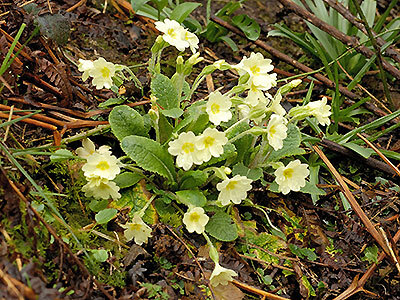 You can get wild flower plug plants from us of some of the classics like Wild Primrose and Cowslip great on banks. Or introduce harder to grow species like Field Scabious plug plants, Nettle Leaved Bellflower Plug Plants and Betony Plug Plants . We follow and are signed up to the Flora Locale Code of Conduct.